MPress Books Limited was established in 2004 in the south-west of England with the aim of providing quality publishing services. We are a family business with traditional values now centred in Worcestershire. We have a modern, progressive outlook with two main areas of business: 1. MPress is an independent publishing house, publishing selected titles, both fiction and non-ficton. 2. MPress is able to provide commercial publishing solutions for clients. This is achieved by integrating considerable local design talent and technical expertise with state-of-the-art production methods. Pretty, emotional Antonia is engaged to stuffy Roger. 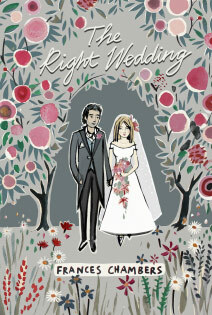 Planning the wedding will bring together their two families, who have nothing in common. Everyone has their own problems, from lovelorn 17 year old Imogen to spoilt rich boy Ned to lonely grandmother Clarissa. In a crumbling country house in Cornwall with acres of overgrown gardens the scene is set for trouble. Set in 2049, this futuristic novel is the first in a five book series. It proposes a realistic scenario for man’s fledgling exploration of space and our neighbouring planets. The book begins innocently enough with an interesting, if not compelling discovery on Mars. Thereafter, it builds into a pacy thriller, encompassing the Earth’s ancient civilisations, spellbinding historic texts, criminal intent, sadistic cybersystems, failed relationships and adrenaline filled action sequences. A good deal of the action takes place on the surface of Mars – a planet which always fires the imagination, and one which will continue to be of primary scientific focus in the coming decade as the reality of a manned landing draws nearer. Other locations for the book’s exciting storyline include the Moon, a space station and a revolutionary space ship – scenarios that all help to cement a number of subplots into an astonishing, stimulating and thoughtful yarn. 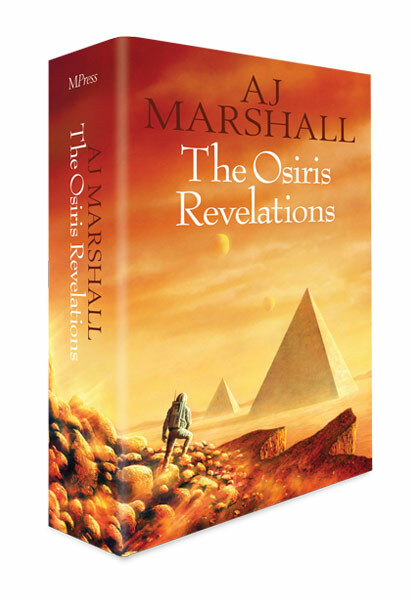 “The Osiris Revelations” is the first book in A J Marshall’s acclaimed Kalahari Series. The following four titles (“The Bastion Prosecutor – Episode 1, 2 & 3” and “Rogue Command”) are also available as eBooks. The premise: Lieutenant Commander Richard James Reece is the survey leader for Osiris Base, a permanent encampment on Mars. The year is 2049. There is also a longer established and larger base on the Moon, called Andromeda. Richard Reece is a former military and space shuttle pilot, having previously served on Andromeda Wing; he is British. Appointed to Mars for three years, he envisaged a quiet, uncluttered time. Two things happened, however, that would subsequently change his life forever: meeting Doctor Rachel Turner, Osiris Base Principal Medical Officer, and finding, in the wreckage of a remote, long abandoned alien spaceship, a flight log. The writings in the log bear an uncanny resemblance to those of earth’s ancient civilisations. Richard Reece studies the text and succeeds in deciphering it. Close to the wreckage, Reece also finds a number of strange, fractured, crystals. They contain latent energy of enormous potential. Knowledge of the discovery, and its implications, soon reaches earth and not only the government agencies for which it was intended, but also unscrupulous, corrupt, multinational conglomerates. Their aim: to gain possession of the crystals, harness their electricity-generating potential and hold the world to ransom. The race is on . . .
Earth’s natural resources are almost exhausted. Anxious governments press into service an experimental spaceship before it is ready. Capable of incredible speeds, the “Enigma” reduces a Mars retrieval flight to mere weeks. However, its highly sophisticated systems computer EMILY, has another agenda. Major Tom Race, an American and the ship’s commander becomes embroiled in a prophetic struggle against synthetic intelligence. Misplaced trust and eventual betrayal allow the International Space and Science Federation to secure the first valuable consignments of crystals, but impatience and political conceit degrade their potential. Now the remaining crystals must be retrieved from Mars. The race sees new competitors, but there can only be one winner. Note: NASA’s recently arrived Martian explorer rover named “Curiosity” will provide exciting backdrops to this series as the vehicle explores the Martian surface in real-time. Futuristic trilogy “The Bastion Prosecutor” is about man’s legacy on planet Earth. It is about where our ancestors may have come from as much as where faith dictates we did. It is a glimpse into a future. It is about the antagonism between learning and belief; science and religion; a dilemma that has risen and waned since the earliest civilisations. It is about conviction, not just in accepted ideals but also the unacceptable. 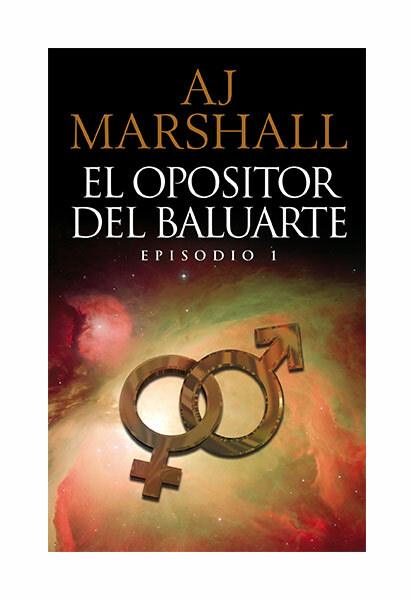 “The Bastion Prosecutor” is about the frontiers of space. Man’s inevitable pursuit of the unknown and his innate necessity to colonise; driven in this case as much by environmental calamity as by instinct. It is about technology and the misuse of knowledge. “The Bastion Prosecutor” is about high adventure and love, about deceit, greed and the unexpected. It is about a tapestry of secrets where threads pass from the past to the future. Finally, it is about hope. 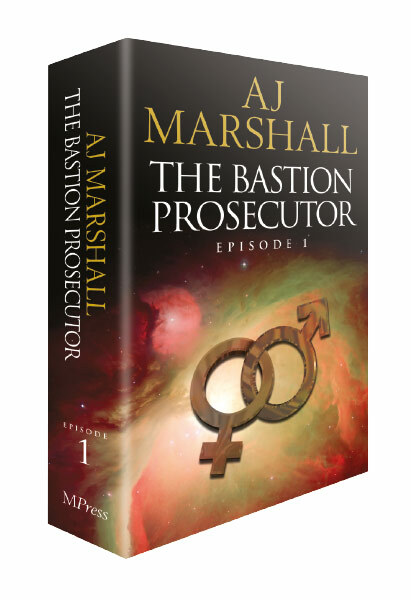 “The Bastion Prosecutor”, an epic trilogy – science fiction at its most believable. The premise: The story begins with a catastrophe for mankind – the result of an unexpected, unprecedented and obscene criminal conspiracy. For governments and scientific authorities who have knowledge of the event – for it plays out on a distant moon in our solar system – the repercussions are immense. For more than two decades the world’s three largest conglomerates have monopolised the planets supply of minerals, chemicals, pharmaceuticals and cybernetic technology. Spheron, Epsilon Rio and Tongsei Heavy Industries, begin welding their industrial might to further aspirations of controlling perhaps the greatest commodity of all – electricity. For their plans to work they need to secure an operating base free from the restrictions, restraints and potential military repression of the world’s governments – a base where they can coordinate illegal and inhuman activates unfettered. There is only one such place – the Moon’s fledgling colony, Andromeda. To achieve this ambition, the faceless leaders of the conglomerates, while appearing above the law, instigate a secretive, remorseless and deadly multipronged attack on democracy. In 2054, as the final remnants of Earth’s carbon-based fuels are consumed and “green” energy remains hopelessly inadequate, a population of 16 billion people depends almost wholly on electricity produced by three Kalahari crystals (an energy source found on Mars four years earlier – Book 1 – “The Osiris Revelations”). Threatened further by a climatic backlash that has reduced global surface temperatures and curtailed food production, life on the surface is becoming precarious and humankind is looking towards a subterranean existence for survival. Richard James Reece, a reluctant agent for the British Government is recalled from duties on the Moon. His knowledge of the Kalahari crystals and the “old people” is essential and his intervention imperative. But he has a secret of his own. By exposing his past to the world, he risks all that is dear to him: his career and his new life in Andromeda. But only he has the knowledge and the ability to counter the unscrupulous conglomerates. 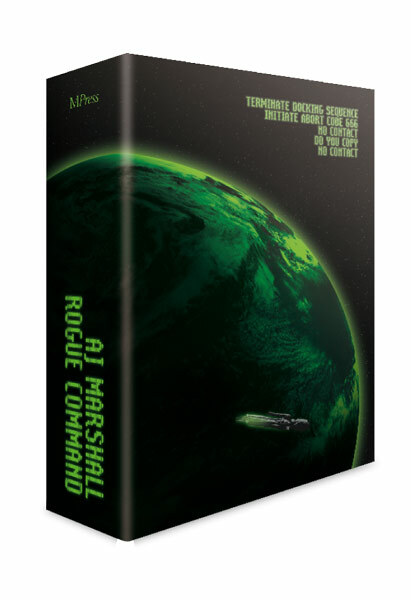 Meanwhile on Mars, Commander Tom Race, a brother in arms, discovers the secrets of mankind’s ancestry and possibly a way to stop what seems inevitable – our demise as surface dwellers on planet Earth. Expertly contrived, cleverly written, accurately researched and with galloping pace, “Rogue Command” is a fitting conclusion to the Kalahari adventure. 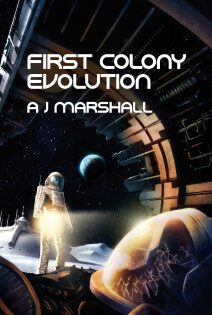 A J Marshall is presently working on the opening novel in his new “First Colony” series. This original and imaginative, five-book, science fiction work charts the life, times, trials and tribulations of Arron Wu, the first Luman© – a human born in the lunar colonies. Lumans are different to humans, not by much – the changes are subtle, unseen, within. Their physiology is changed by adaption and necessity. Life is not easy in the Lunar Colony, says Andrew, of those first two decades: adversity, hardship and tragedy are commonplace, despite the technology. And then there are the “Inevitables” – foolishly discarded, now lethal. 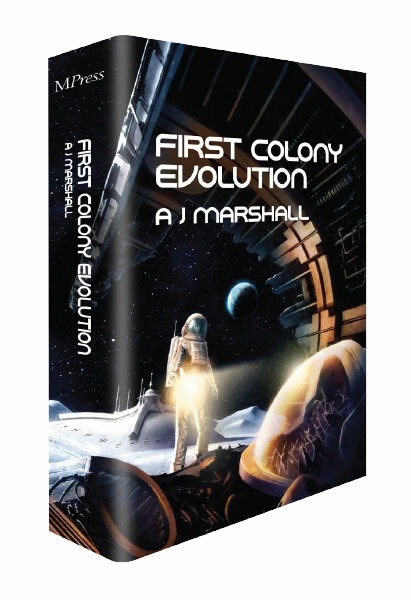 MPress Books Limited of the United Kingdom is publishing “First Colony – Evolution” in June 2018 and the company plans each subsequent book around the same time annually until 2022. The science fiction work First Colony is a series containing five novels. Together, the books span the two centuries immediately after the first human ‘off planet’ birth. By 2050, Moon base Andromeda had expanded from its initial, tentative, porta cabin-like modules, into a sprawling labyrinth of double and triple storied architectural units built from materials mined on the Moon’s surface. After the Proclamation of Independence in May 2050, the new ‘Senate of Lunar Colonisation’ removed the military-like regime under which Andromeda’s two thousand inhabitants lived and worked and implemented a self-sustainable democracy based on the charter of the American Declaration of Independence. 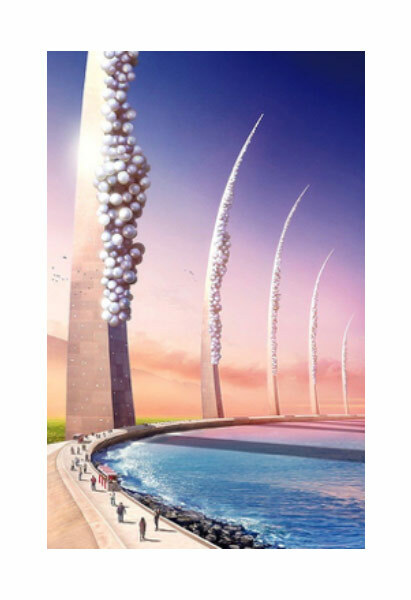 Those who would return to earth amid its energy calamity and climatic strife did so, but those who remained formed the populous of the First Colony. The strict rules governing male and female fraternisation in Andromeda and the immediate return to earth of women falling ‘illegally’ pregnant whilst on space duties was abolished. Cohabitation was allowed, even encouraged, and the first baby was born nine months to the day after lunar independence. His name was Aaron Wu, born of a British mother and a Chinese father. First Colony charts the life and legacy of this first so-called ‘Luman’ – a human born in the lunar colonies. Aaron Wu’s life begins innocently enough – the result of unique events entwined with fate. Each of the five books then covers the numerous decades of his life. The novels describe the trials and tribulations of this futuristic character as he rises to become the first elected president of an independent space colony and later to lead the struggle against the ‘Inevitables’. Man needs to evolve and quickly. Technology is borrowed and bought, coerced and stolen. Planets die, the solar winds change direction and so does our fate . . . First Colony – Evolution Book 1: The storyline to Book 1, by nature of being set in the future, is essentially science fiction. However, pure fantasy it is not, as the science described in the series is primarily either fact or based on fact. Indeed, the author’s style and his previous works reflect highly believable scenarios. First Colony is about man’s inevitable pursuit of the unknown and his innate necessity to colonise; driven in this case as much by environmental calamity as by instinct. It is about the relentless advance of technology and the misuse of knowledge. First Colony – Evolution is about high adventure and first love, about deceit, greed and the unexpected. It is about the dissolving power of governments and the emergence of the all-consuming ‘Corporation’. It is an intelligent crime thriller as well as an emotional rollercoaster. It is about Neil Armstrong’s legacy and the immortal words he spoke as he stepped from the landing craft Eagle on 20th July 1969 as mankind held its breath. First Colony – Evolution is due for release on the 1st June 2018. 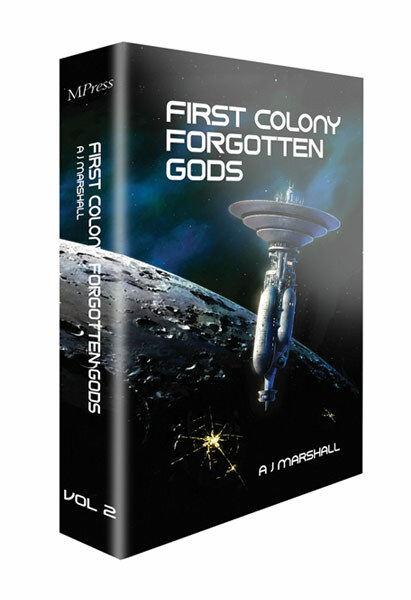 First Colony – Forgotten Gods: Book 2 in the First Colony Series, is due for release on 21st August 2018: Terrestrial religions mean much less to the colonists, for they neither know nor understand planet Earth as we did. As a race, the Lumans do not relate to the continents that they see drifting on an ever-darkening, slowly revolving sphere as it hovers so near and yet so far in the blackness of space. They do not relate to its occasional blue oceans – those once enviable expanses of water – or the associated climate, the barely discernible tides, or the passage of varying seasons, or, indeed, to the footsteps of exceptional men, as once we did. History is factual and similarly facts dictate their history; not hearsay or stories, not even millennia old written accounts. People – our cousins – who were born on the Moon, have a different perspective, as different as those of the indigenous American Indian and the first Pilgrims. Times change, and the rise of the Inevitables give no time to reflect on a former heritage, despite the ‘oldies’ clinging as they do. Destruction, treachery and death lies hidden in the other realities that have been created; virtual, parallel and inaccessible to most. Learn, adapt, strike back – life in the Colonies is no easier these days. 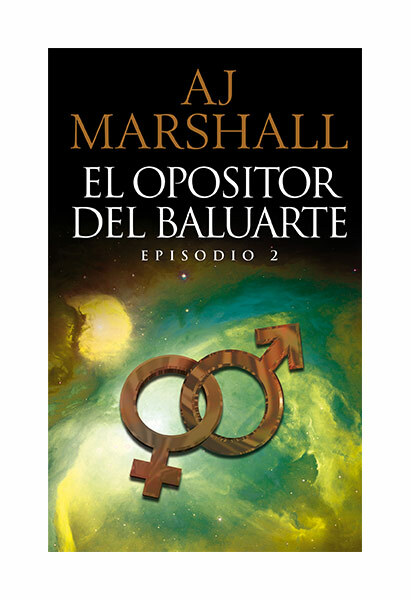 Ambientada en el año 2049, esta novela futurista es la primera de la serie de cinco libros. Propone un escenario realista para la exploración novata del hombre al espacio y nuestros planetas vecinos. 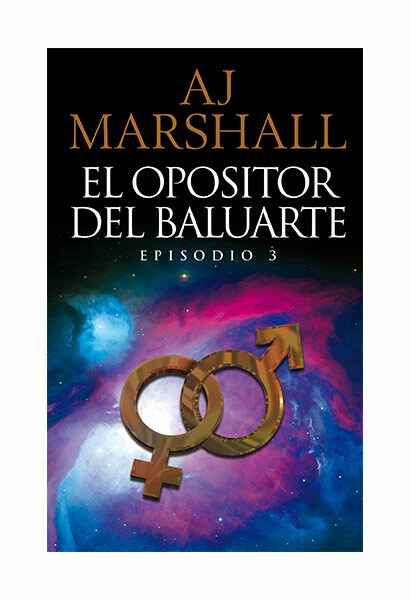 El libro comienza de forma bastante inocente con un interesante y cautivador descubrimiento en Marte. Luego, se desarrolla como una rápida historia de suspenso que abarca las civilizaciones antiguas de la Tierra, textos históricos fascinantes, intenciones criminales, cibersistemas sádicos, relaciones fallidas y secuencias de acción llenas de adrenalina. Gran parte de los sucesos ocurren en la superficie de Marte, un planeta que siempre enciende la imaginación y que seguirá siendo uno de los principales intereses científicos en la siguiente década, ya que la humanidad está cerca de concretar un aterrizaje en él. Otros lugares incluidos en la historia del libro son la Luna, una estación espacial y una nave revolucionaria, escenarios que sirven para cimentar varios relatos secundarios en una historia extraordinaria, estimulante y reflexiva. 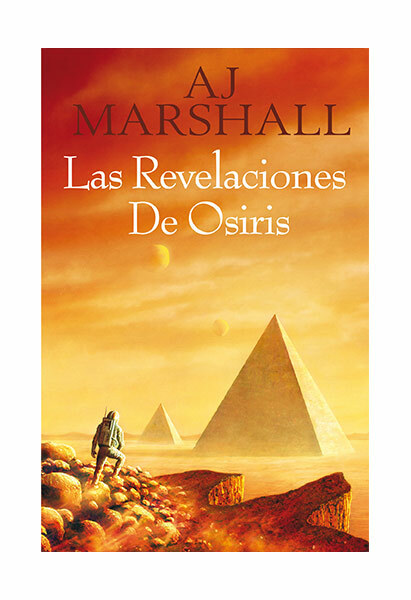 “Las Revelaciones de Osiris” es el primer libro de la aclamada “Serie Kalahari” de AJ Marshall. Los siguientes cuatro títulos (“El Opositor del Baluarte”– Episodio 1, 2 y 3” y “Comando Insurrecto”) también están disponibles como eBooks en español neutro. The Bastion Prosecutor is about man’s legacy on planet Earth. It is about where our ancestors may have come from as much as where faith dictates we did. It is a glimpse into a future. It is about the antagonism between learning and belief; science and religion; a dilemma that has risen and waned since the earliest civilisations. It is about conviction, not just in accepted ideals but also the unacceptable. The Bastion Prosecutor is about the frontiers of space. Man’s inevitable pursuit of the unknown and his innate necessity to colonise; driven in this case as much by environmental calamity as by instinct. It is about technology and the misuse of knowledge. The Bastion Prosecutor is about high adventure and love, about deceit, greed and the unexpected. It is about a tapestry of secrets where threads pass from past to future. Finally, it is about hope. 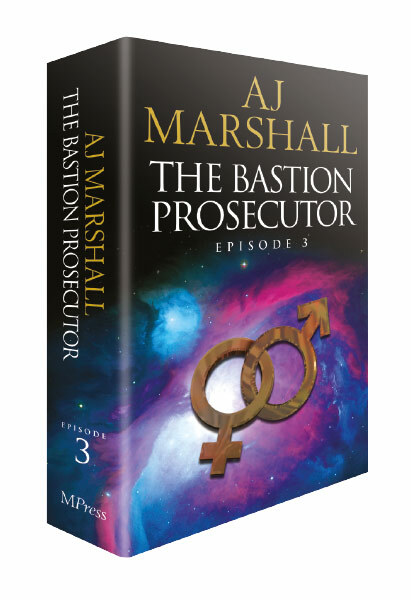 The Bastion Prosecutor, an epic trilogy – science fiction at its most believable. 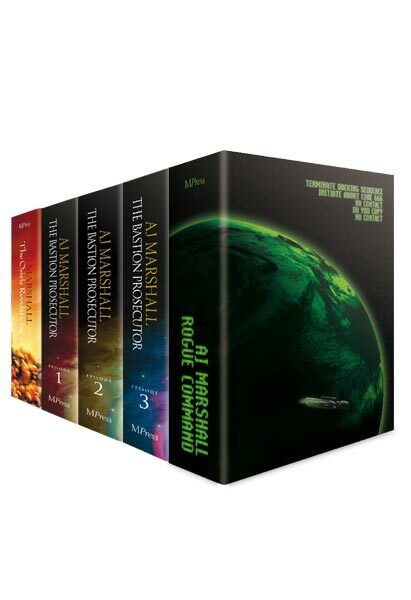 Written by an author with a genuine love of space and science and an involvement in aviation, these three episodes constitute Books 2, 3 and 4 of the acclaimed Kalahari Series; a series of more than 2500 pages in its original English language paperback format. Herein, this story, with its cinematic descriptions, will transport you to a futuristic world of suspense, excitement, technology and the mysticism. Richard Reece has been incarcerated on earth pending court martial. He is accused of misappropriating ISSF property – namely the flight log of the crashed spaceship Star of Hope. Called to London by the British Secret Service he survives two attempts on his life. The first is by agents of a corrupt international conglomerate and the second, by a sinister figure dressed in religious clothing. During the subsequent meeting, he is offered a deal: Help recover an ancient Ark believed to contain a lost crystal, and in return, all charges against him will be dropped. He also, however, realises that his fiancée, Rachel Turner, lives a double life. Emotionally devastated he accepts the mission. Thereafter, ancient text, historic monuments, agents of the conglomerates and their deadly machines and a beautiful, mysterious woman, manipulate his destiny until his mission becomes a quest. A day in the lives of Alyson, Zoe, and David begins, as normal, with their Dreams. By the afternoon, however, it is a catastrophe that brings these three together . . . And at the day’s close, when the nightmare begins all three are irrevocably changed . . . Extract: Alyson is at the top of an enormous waterfall. She’s holding on to a rock for her life but the intensity of the water is so great she can feel her grip loosening. She turns her head and sees a heavy chain – such that would anchor a large ship – the chain is wrapped about the rock and the other end bracelets her wrist. Alyson at once relaxes knowing that this chain will save her from certain death at the foot of the falls but then another Alyson is running up and down the river bank shouting “the chain is holding you back. You must break the chain! 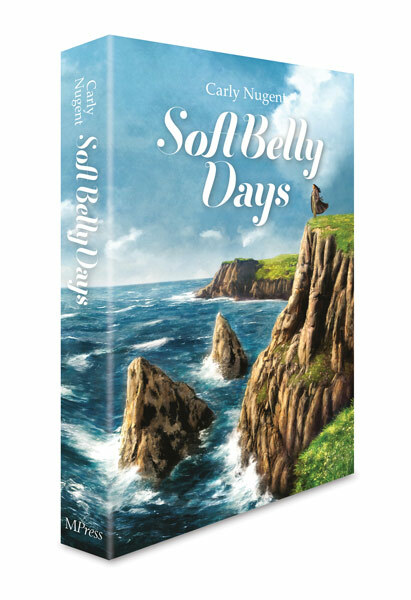 Soft Belly Days has been adapted from an award-winning screenplay of the same name commissioned by the Cornwall Film Fund. Set in the romantic south-westerly county of Cornwall, it tells the story of Rachel Tangye (48), who strides across the frosted sands of Carbis Bay beach trying to come to terms with her Father’s dying. Rachel is haunted by childhood memories which rise like bubbles out of her subconscious. She remembers making three wishes: one, to see God, two, for a baby sister and three, to move to a new house. Within a year all three wishes come true. God is immediately revealed as a shaft of white light and to the eight-year-old Rachel, this convinces her that miracles do happen and wishes really do come true. This belief is compounded when within a year the Tangye’s move to a new house and Rachel has a baby sister called Rebecca. However, the adult Rachel who walks over the sands observing the churning sea is also tormented by Abigail Daylight. Abigail was a local bag lady and as a child Rachel was convinced that Abigail was a witch who could ‘take out your beating heart just by looking at you’. Rachel’s fear of Abigail is magnified as this page-turning novel continues. What time is it Julie Fitzgerald? 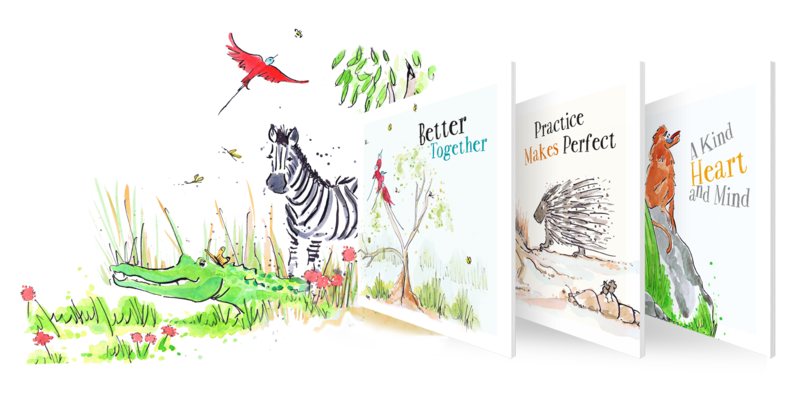 The Julie Fitzgerald® series of children’s books are fun, enlightening and inspiring. Developed primarily for the three to seven-year age group they are written in Standard English and suitable for educational purposes. Utilising a picture book presentation, What, Where and Why themes are used to explore basic concepts in science, geography and demographics. Other practical aspects of the world around us, such as time keeping and traditional clothing are also presented by way of stimulating illustrations and thoughtful written content. The Julie Fitzgerald® series of children’s books are particularly suitable as aids to teaching English internationally. 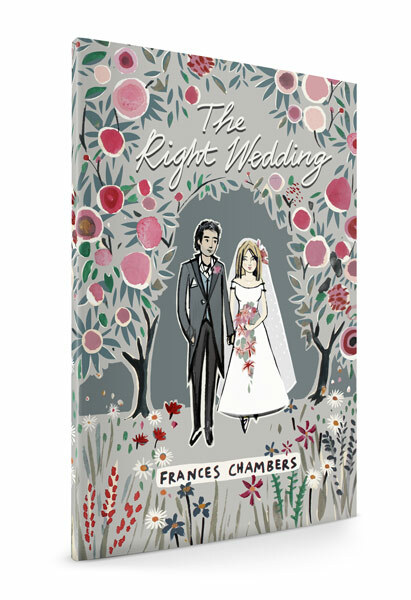 Louise Rowley is the talented illustrator and author behind the Julie Fitzgerald® range of characters. Her unique style has evolved from studies at the Glasgow School of Art, where she gained a BA(Hons) in Fine Art in 2004 and later, a Masters in Illustration and Design. Andrew Marshall is the series creator, concept originator and editor. MPress Books Limited, a company registered in Great Briton, is the publisher. Julie Fitzgerald® is a typical seven-year-old. She lives in the North East of England with her Mum, Dad, brother Eddy (short for Edward) who is four, and her dog Harry. The world is amazing to Julie and she learns more about it every day. Julie loves school and the things she does there with her friends. Her favourite teacher is Professor Humble who seems to know everything about everything – she inspires Julie and her classmates. 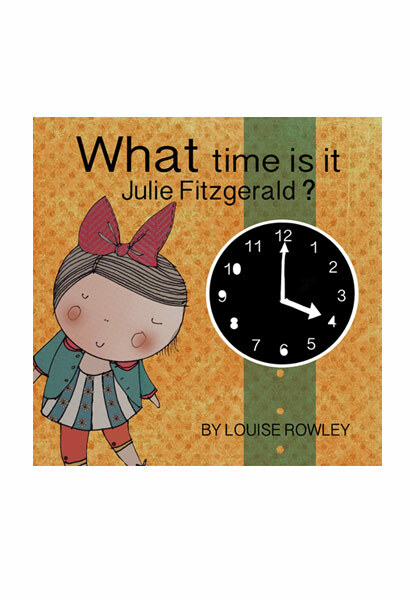 In this book, entitled “What time is it, Julie Fitzgerald?” Julie understands the concept of time and what part it plays in her daily life. Julie Fitzgerald® is the new brand for children in the three to seven-year age group. Together with her brother Eddy, best friend Sally Suitcase and Harry the dog, her adventures are both captivating and informative. More books are planned for the series and these will be available at regular intervals. The books will be readily available to download in eBook format from Amazon. If Merlin, Guinevere, Morgan le Fay, Launcelot, Galahad, Camelot and The Round Table are stripped away, we are left with a sixth-century military figure who displayed outstanding courage and skill. He inspired other men to join him (perhaps as a powerful cavalry force) to drive back the pagan Saxon invaders when the Romans had abandoned the Romano-British population in the previous century. This marked the beginning of the Dark Ages. Arthur and his men were fighting as patriots and not just for the money paid by local rulers to be protected from the invaders. In twelve decisive battles, Arthur held the Saxons back for some forty years. In the centuries that followed, many fanciful stories about Arthur were added and brought together by Sir Thomas Malory in Le Morte d’Arthur, which he completed in 1470. It was published in 1485 on the first English printing press, introduced by William Caxton. 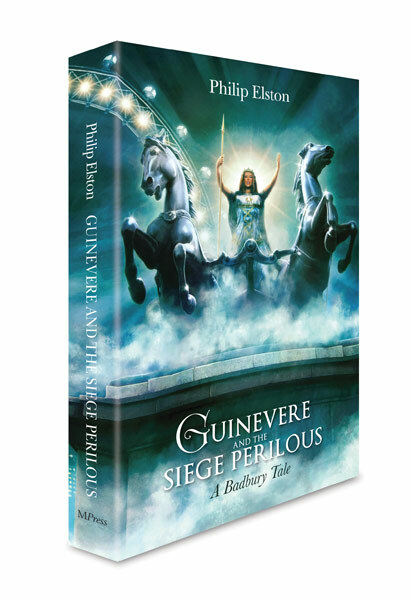 What if King Arthur were to awaken and slip silently into twenty-first century Britain, concerned still for good to conquer evil – would you believe it? Most great leaps forward in our history take place when people ask the “What if?” question and find the answer. King Arthur, wakened by a potholer retrieved Excalibur, gathered his knights and then roused Britain from gloom and recession. Once more chivalry was set above self-interest as people rallied to a cause greater than themselves. Refusing to be divided by class or colour, they search for the Holy Grail. Book one of the Badbury Tales, a novel entitled ‘Return of the Raven’, describes how two teenagers stumble accidentally upon a large underground chamber at Badbury Rings, an Iron Age hill fort in Dorset. Inside, they discover a group of sixth-century warriors in deep slumber. Unknown to them they have been followed into the chamber by an elderly man who rouses the warriors from their long sleep. An inspired adventure ensues; one where chivalry and honour are revived. Although this book is the sequel to the ‘Raven’, it actually begins six months before the events in book one. In case you wonder what the last two words of the book’s title mean, it is an ancient description which in modern language would translate as ‘the Dangerous Chair (or Seat)’. 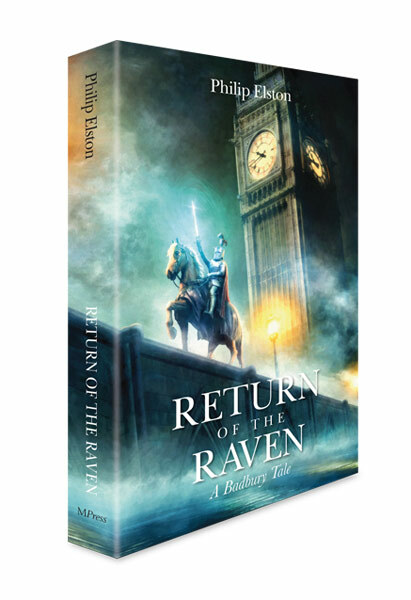 Book One, ‘Return of the Raven’, describes how two teenagers stumble by accident upon a group of 6th Century warriors in a large underground chamber at Badbury Rings, an Iron Age hill fort in Dorset. Unknown to them they have been followed into the chamber by an elderly man who rouses the men from their long sleep. What follows next would spoil the story except, that when reference is made in Book Two, to Green Dragon, Red Lion, Battleaxe and Long Ship it is identifying four Land Rover Discovery vehicles that are being used by the small group of warriors. Book Two is the first sequel to Book One but its account begins some six months before Book One’s events take place. In case you wonder what the last two words of the book’s title mean it is an ancient description which in modern language means ‘the Dangerous Chair (or seat)’. 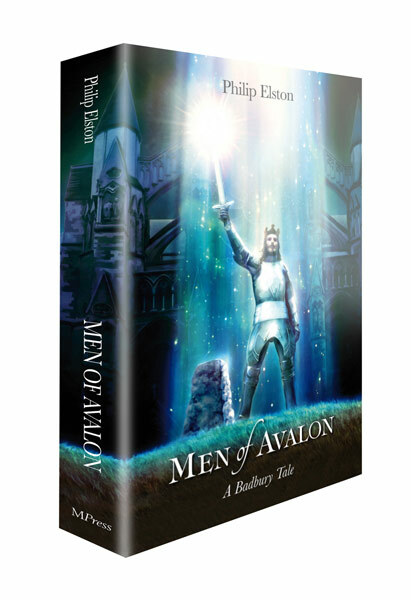 In this final volume of the Badbury Tales trilogy we see Arthur’s men in action: Galahad rescuing Tricia from her folly, Gawaine confronting a threat to his life, Tristram overcoming the forces of nature to avert a tragedy and Launcelot headlong against the scourge of racial division. This full length, science fiction screenplay is completed, edited, and ready for pre-production purposes, subject to normal studio review. “Origins” is a graphic, near-future, two-hours and twenty-minutes feature film in its own right, however, it is also the first of three exciting films adapted from the Kalahari Series of science fiction books by A J Marshall. The screenplay is written by Carly Nugent and co-written and edited by Andrew Marshall. It is adapted from the popular sci-fi work “The Osiris Revelations”. This full length, science fiction screenplay is completed, edited, and ready for pre-production purposes, subject to normal studio review. “Powerless” is a graphic, near-future, two-hours and forty-minutes feature film in its own right, however, it is also the second of three exciting films adapted from the Kalahari Series of science fiction books by A J Marshall. The screenplay is written by Carly Nugent and co-written and edited by Andrew Marshall. 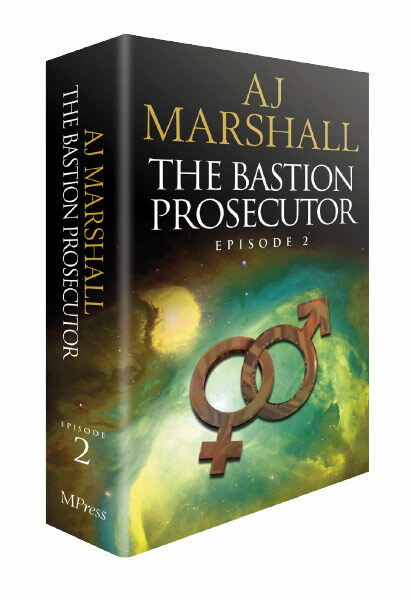 It is adapted from the popular sci-fi trilogy: “The Bastion Prosecutor”. This full length, science fiction screenplay is completed, edited, and ready for pre-production purposes, subject to normal studio review. “No Contact” is a graphic, near-future, two-hours and five-minutes feature film in its own right, however, it is also the concluding episode of three exciting films adapted from the Kalahari Series of science fiction books by A J Marshall. 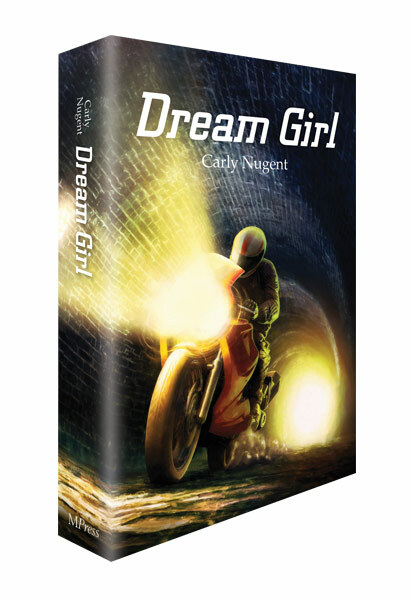 The screenplay is written by Carly Nugent and co-written and edited by Andrew Marshall. It is adapted from the popular sci-fi work “Rogue Command”. Both my husband and I loved this book - it's by no means just for women as you might expect from its cover and title. it is beautifully written, full of wit and wisdom, and explores the nuances of the English class system in a subtle and often hilarious way. The characters are all realised so fully that they and their behaviour are utterly believable. The plot is carefully worked out so you're kept guessing till the end. 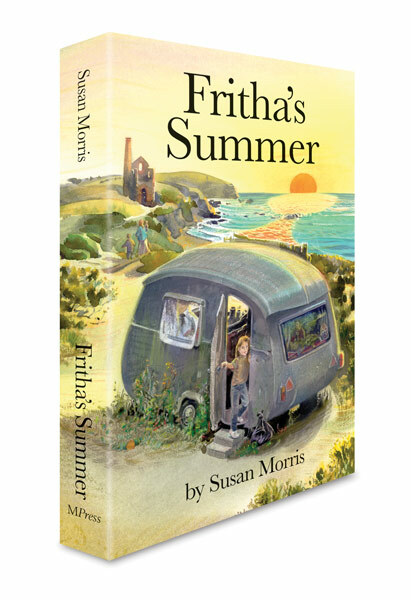 A light, summery read, ideal for the beach - but readers will be pleasantly surprised at its hidden depths. 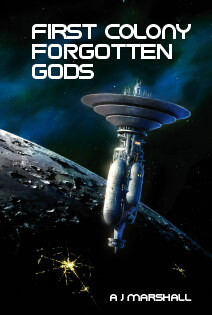 It is great to read what is a well written sci-fi saga, even better that it is over five novels, this being the first. A discovery on Mars leads to an amazing 'energy' discovery which sets of intrigue and murder. The book brings together many tenants of the genre in a well-crafted way. Now for book two! !